Vietnam, Hanoi and Ho Chi Ming City - Boarding Today! 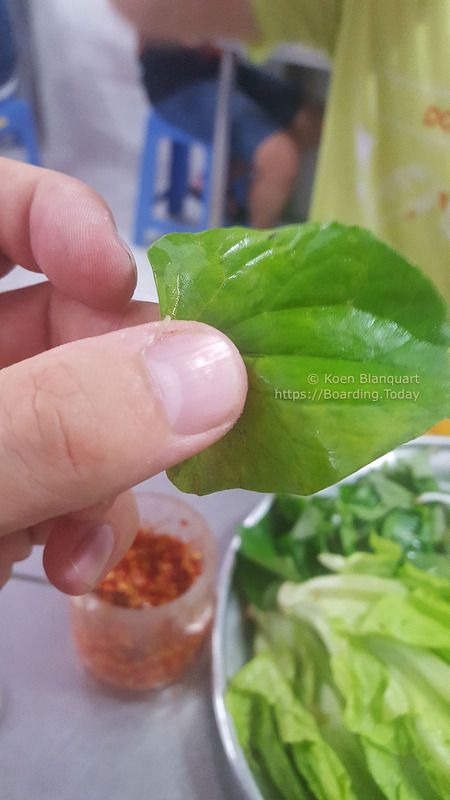 After my first days of travel in Ho Chi Ming City and Hanoi (Vietnam), and awaiting more adventures, here are some of the things that were not as I expected them before coming here. Breakfasts in construction sites, motor scooters with an app, and a very cosmopolitan aspect. Being a user of Uber, Lyft and alike all over the world so far, I opened my Uber app here as well. Only to see that the choice of transportations means now included a moto taxi. When I was in Indonesia, I saw the app Grab making headway, but this was for me the first time I saw Uber being in the moto taxi business. The app takes away some of the awkward conversations and mispronunciations I had in Thailand with the regular moto taxi drivers. The fact that Uber was 3 times cheaper than the local apps and drivers, made it my first choice. With not as many drivers as the competition, make sure you have grab installed as well when you don’ find a Uber driver where you are. 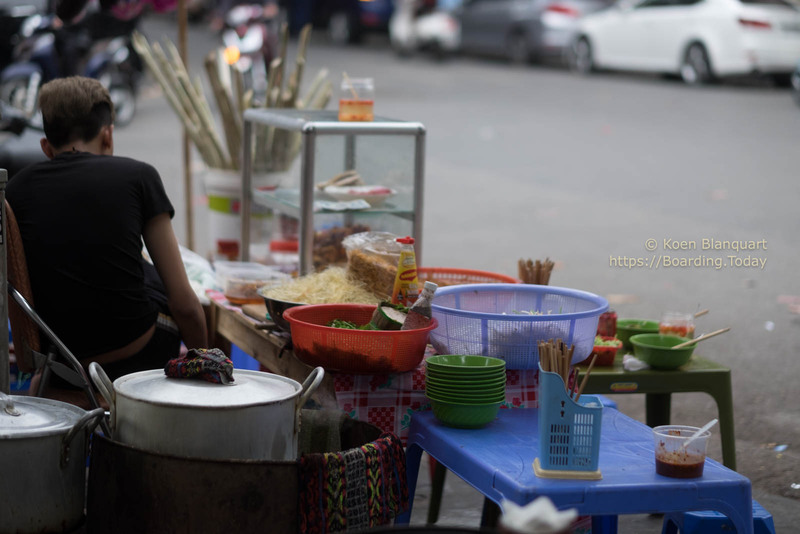 Both in Saigon and in Hanoi, I had some of the best food I tasted in the region. In Ho Chi Ming City I went on a tour with a young company: they took me by scooter along several different cuisines in the city. Good food, and a nice experience to see the city by night. 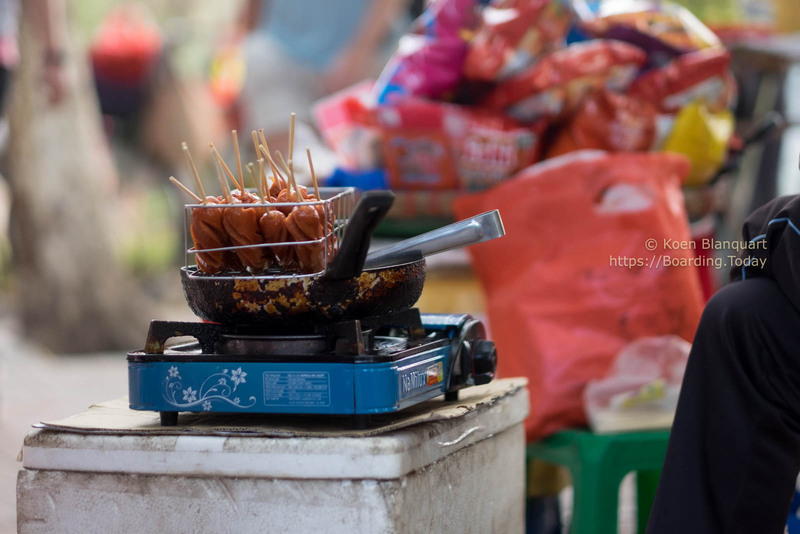 Keep an eye out on the blog for my report on the food tour in Saigon. One of the more memorable meals in Hanoi was the morning after I arrived from a 36-hour train trip to Ho Chi Ming City and Hanoi. I went to one of the food stands that serve Pho. Pho is a noodle soup. It has vegetables, spices, some kind of broth and can come with meat. No two places serve the same taste. The worst meal? A breakfast in a hotel, while the workers rebuilt the dining room. I’ll tell that story soon! My trip to Vietnam was initially planned as a pass-through on my Trans Siberian train adventure but became an adventure all by itself. The few weeks I was granted to stay here were way too short. When I’m in the region again, I’ll make sure to add more travel to Vietnam to my travel plans again. Scooters are so cool. I wish the U.S. roads were more scooter friendly. I’d get one but I can’t imagine driving through the suburbs let alone a medium-size city. Looks like Vietnam has scooters down to a science. Sounds like you had a terrific time in Vietnam. I’ve been wanting to travel there since I read the novel, Up Country. I tried Pho for the first time last winter and it was delicious. I’d love to try it in Vietnam. Fun photos and you really capture the look and feel of the countries you visit.